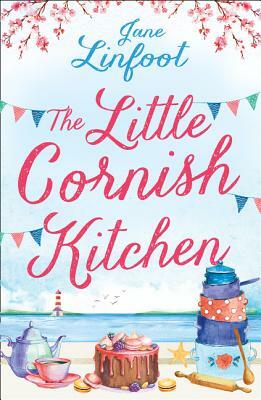 With an exiting new life in Paris, Clemmie Hamilton isn't looking forward to heading home to the picturesque but sleepy village of St Aidan, Cornwall. However, when she discovers that the cosy apartment by the sea, which her grandmother left to her, is under threat from neighbour and property developer, Charlie Hobson, Clemmie realises she can't abandon her home in its time of need. Jane Linfoot writes fun, flirty fiction with feisty heroines and a bit of an edge. She lives in a mountain kingdom in Derbyshire, where her family and pets are kind enough to ignore the domestic chaos. Happily, they're in walking distance of a supermarket. Jane loves hearts, flowers, happy endings, all things vintage, and most things French. When not on Facebook and without an excuse for shopping, she can be found walking or gardening.